Hubcaps are a great way to add details to your vehicle that really make it look great. At OCDesignsonline, when you purchase one of our ecommerce bundles and we build both an ecommerce site and an eBay site, it allows you to add details to your product listings that really make them shine. 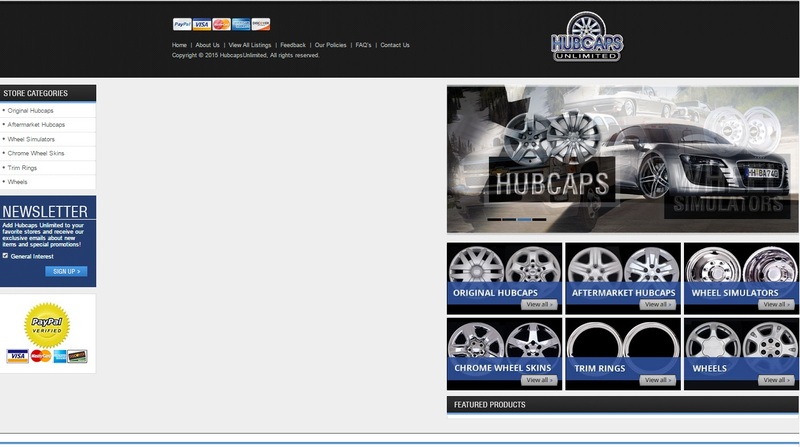 When Hubcaps Unlimited approached us looking for a way to boost sales while saving money, we were happy to help. We created both an ecommerce website and an eBay store to help our client showcase their wares. We can do this, with a savings of $400 to our clients, and help you have a great looking set of websites to help you sell your products to members of your target audience. When you have both an ecommerce site and an eBay store, you double your visibility while appealing to potential customers on their preferred shopping platform. We used a rotating slideshow header to grab customers’ attention as soon as they landed on our client’s site. We focused on imagery of hubcaps and vehicles, to help draw viewers in further into the site. Following the header, we used a filter bar so that customers can easily search for those products they need for their vehicles. Whether a customer is looking for a replacement hubcap or a hubcap upgrade, we made it easy to identify the category, make, model, and year of car for compatibility. Finally, we included a section where customers can view featured products. 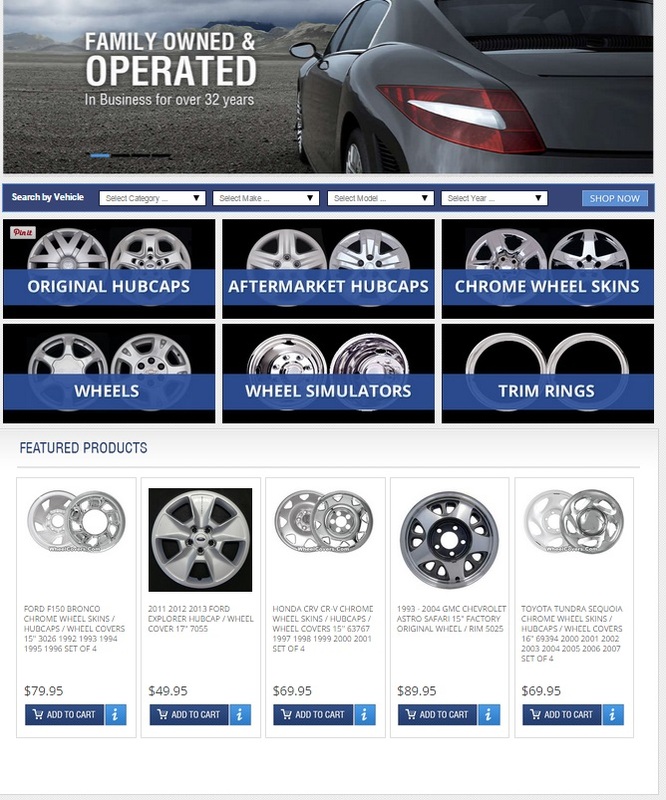 The featured products section helps to draw customers back to the site when they want to know what Hubcaps Unlimited has to offer that’s new, on sale, or popular. When searching online for products, eBay listings will often appear on the first page of search results. Thus, when our clients choose to have us create a custom eBay storefront for them, as did Hubcaps Unlimited, they report increased sales, and an increasing level of brand awareness among their target audience. For the eBay storefront, we wanted to create a similar feel. Thus, we also used a rotating slideshow header along with category images and a navigable sidebar that complement the ecommerce site. By appealing to both sets of customers, and offering a variety of payment options, our client effectively increased the opportunities for customers to find the website and make a purchase. Let OCDesignsonline help boost your sales with a custom ecommerce bundle! We have a large selection eBay listing templates from which you may choose at OCDesignsonline. Make yourself comfortable, and browse our portfolio. When you see something you like, request a free quote. Remember, you can save $400 on an ecommerce bundle with an ecommerce site and an eBay store design. Also, don’t forget to find us on Facebook, follow us on Twitter and check out our Google+ Page for more great design ideas!